I’ll lay it right out there…you need to know how to negotiate if you’re going to get what you want in business or in life. It’s a must. The value of learning about negotiation isn’t so that you can become some sleek television caricature of a negotiator…it’s so that you can transform your business and life. I know. Transform. That’s a big word. I can see you rolling your eyes! Yes. Transforming your business is big. Learning how to ask for what you want, need and deserve opens avenues and opportunities for your business that you would never have thought possible. A lot can change – and you’ll be leading that change. When you know how to negotiate, you'll be able to raise your fees right from the get-go with new clients. You'll also be able to rollout new pricing with current clients without feeling panic at the thought of having those conversations. Learning how to negotiate will also help you finesse contracts so that you're not paying more than you need to be for the services and products you use in your business or life - shaving down those cell phone bills adds up! Knowing how to pitch to your ideal clients means you're far more excited to get down to work each day. No more worrying over what to include in your proposals, or second-guessing yourself to the point of never sending them (I see you over there...with that stack of unsent pitches...). Negotiation will also help you set boundaries around what type of work you take on, and which activities you're responsible for. The result? Doing more work that you love! No matter how productive you are...there's time each day that's being wasted. Time waiting for a client to finally send over the copy to incorporate in the design. Time chasing pay checks when invoices are overdue. When you know how to effectively ask for what you want and need, you increase the control you have over things that drag you down or waste your time. There are three essentials to learning how to be a great negotiator that I teach here on the blog, an in my work with clients. When you have each of these mastered, you're able to ask for - and get - what you want, need and deserve. Sounds simple...but before you #maketheask, you need to know what to ask for! The only thing worse that not making the ask, is asking for something - getting it - and then realizing it was entirely the wrong thing and you have to go through that process all over again. 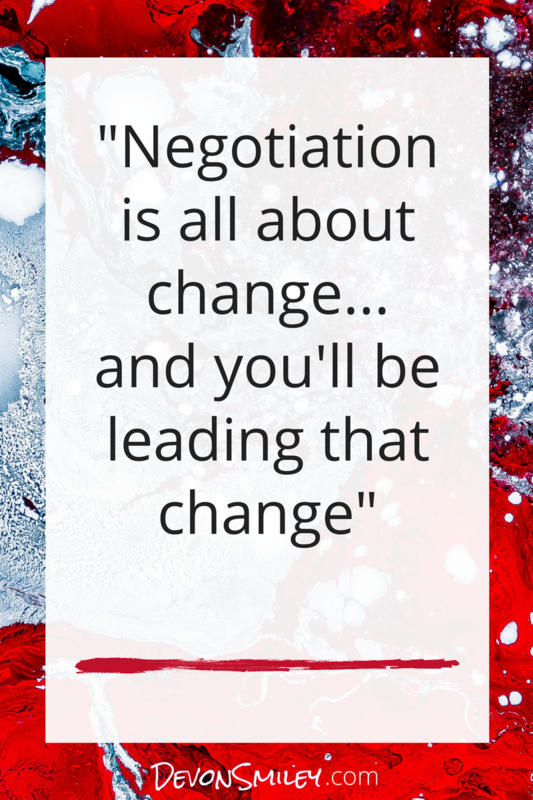 There are many aspects to your negotiation toolkit, and each serves to build your confidence. Strategies, scripts, tricky tactics to watch out for - when you've developed these skills, you know that you can handle any situation that comes your way. You know what you want, you've got the tools...and now you need to guts, gumption and mojo to actually make that ask! Frankly, sometimes it takes a big bold burst of the crazies to pursue a huge ask...but it's oh so worth it. To learn more about how I can help you build your Clarity, Confidence and Courage, check out the ways we can work together. How do you want to transform your business or life? Are you looking to boost your finances? Energy levels? Free up some more time in your schedule?